We want to express our sincere thanks to the 2019 YouToo Social Media Conference sponsors! Our sponsors support our mission to develop a world-class event while keeping conference prices low for attendees and supporting PRSSA Kent! We hope you’ll use the links below to learn more about our sponsors! 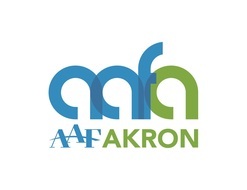 Don’t miss your chance to showcase your organization’s work – face-to-face – to nearly 200 of Northeast Ohio’s top communication professionals, as well as to the next generation of communicators and leaders in the integrated marketing communications profession. Plus, publicity reaches thousands more via social media and other e-communication channels year-round! Sponsoring YouToo puts your company’s name front and center to more than 200 current and future decision makers who may elect to utilize goods or services such as yours. Without our sponsors, this event would not be able to happen and especially not with such an amazing, successful track record. We are thrilled to be in our 12th year of bringing this social media conversation to our attendees. So, thank you in advance for helping us bring this amazing event to life, right here in Northeast Ohio! There are many sponsorship opportunities available. If you do not see a package that fits your needs, please contact Angela Bennet at abennett@neomed.edu.